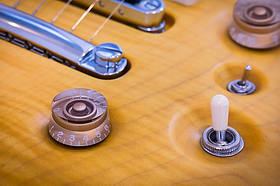 Guitar Doctor provides expert repairs, custom modifications, luthier design and building. Selling new, used and vintage guitars, amplifiers and accessories. 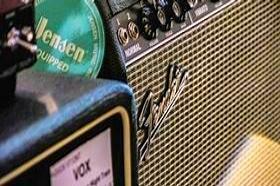 We fix all brands and models including (but not limited to) Fender, Gibson, Peavey, Martin, Parker, Ibanez, Yamaha, PRS, Godin, Larrivée and all other brands.. 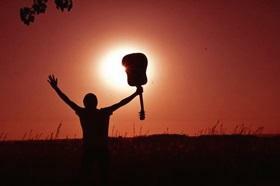 Guitar Dr. will make your guitar play its best so that you can play your best. Expert Custom Shop luthiers help you to create and build designs with knowledgeable advice. We offer professional workmanship and the very best parts such as pickups, bridges, potentiometers, tuners, strings and hardware to build your "DREAM GUITAR". We sell new, used and vintage electric, acoustic and bass guitars, amplifiers and more. Cables, slides, capos, tuners, strings, picks and accesories are always in stock. 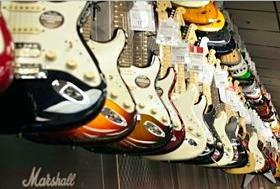 All guitars that we sell are set up with strings, action and tuning of your choice. Amplifier repairs are guaranteed by our factory certified technicians. Please phone us for questions or just bring your amp in. Directions here. ↪ See Doc's Gallery for a few interesting custom jobs from the past...there have been so many more, but can't show more than a small fraction...Sorry!